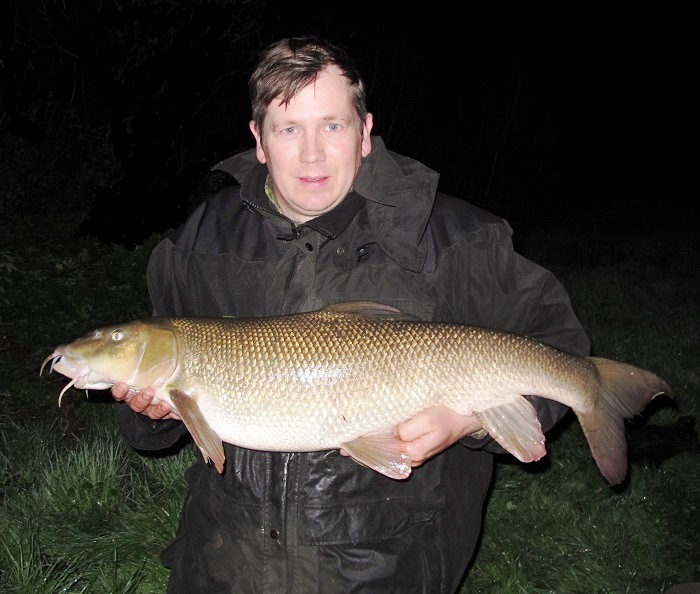 Specimen angler Geoff Collins topped off a phenomenal week for barbel enthusiasts when he took the biggest brace of the season with fish 18lb 10oz and 15lb 12oz from a Midlands river. 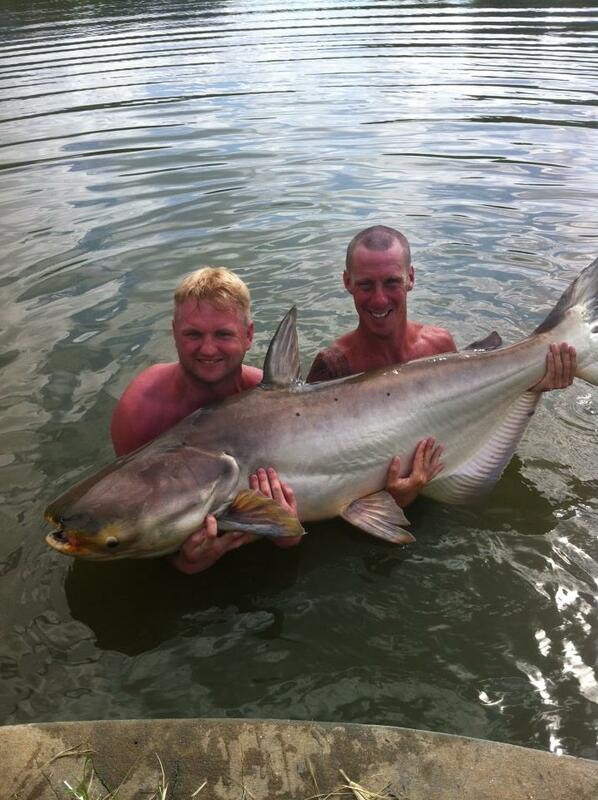 Well done Geoff, an amazing brace of fish! 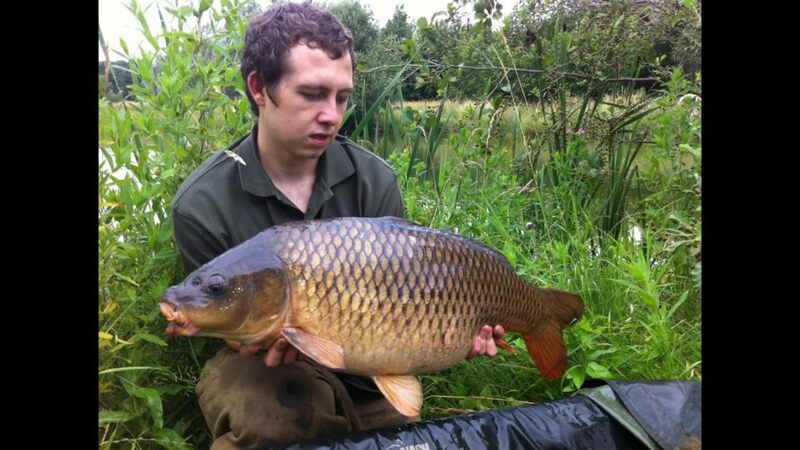 James Jordan holding a long dark Common caught from his syndicate which weighed 29lb on the dot. 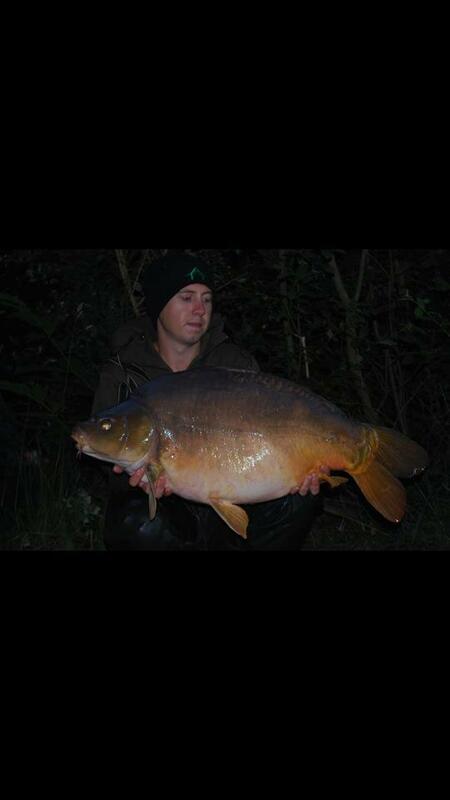 Nice to see our efforts haven’t gone unnoticed! 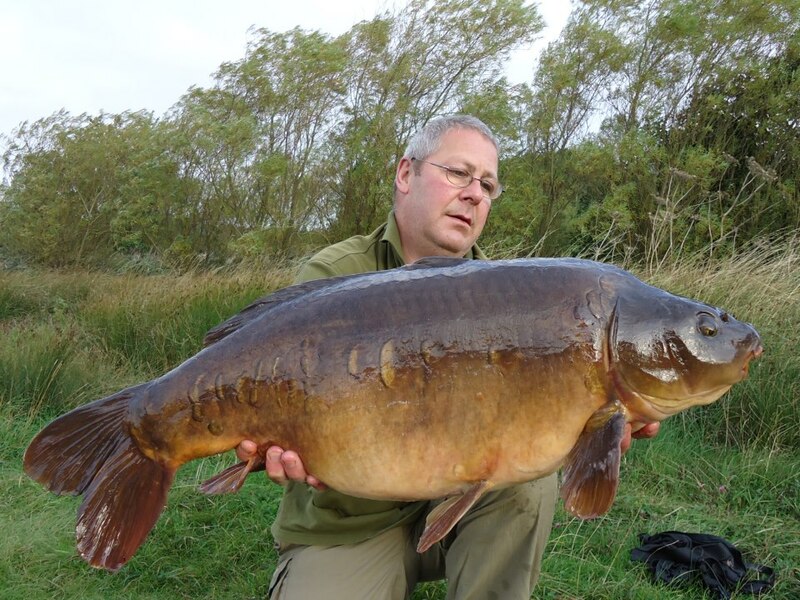 Simon Cooper sent in this picture of a beautiful mirror. 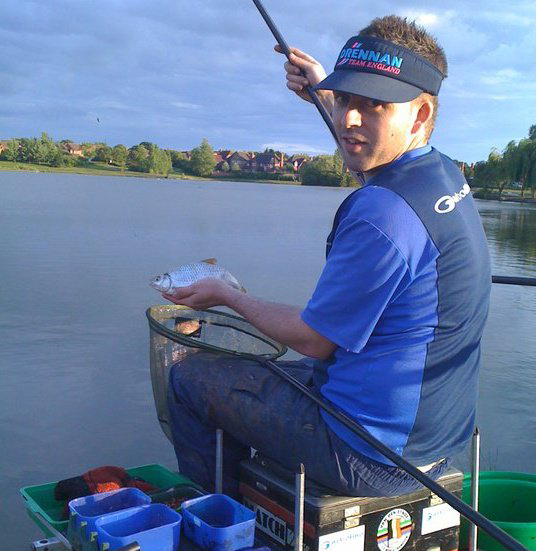 Well done Simon – Glad you are happy with your Fox SupaBrolly Over wrap! 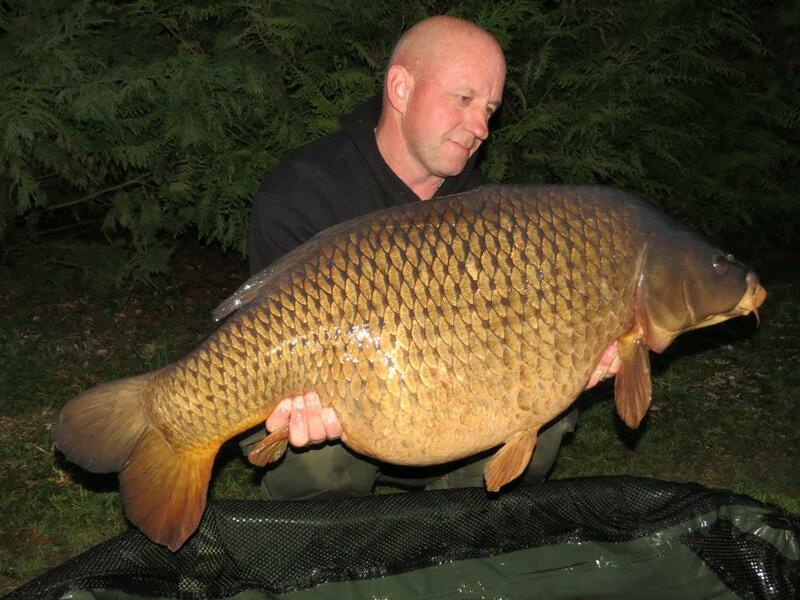 Here Joe is again with another absolutely stunning carp, this time a Common of 53lb 14oz which is a new PB for regular customer Joe. 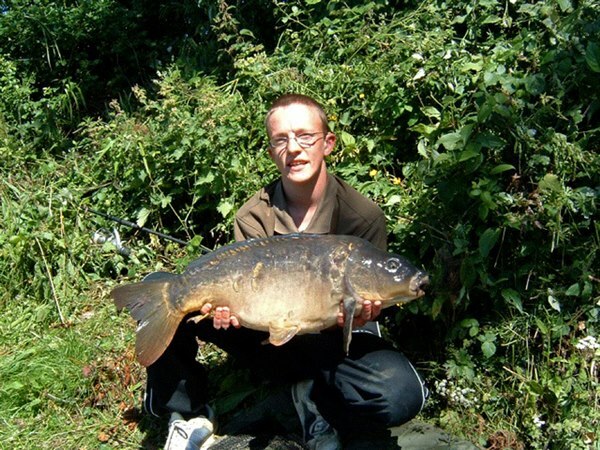 Like the mirror below, this fish also fell to the Scopex Squid Red. 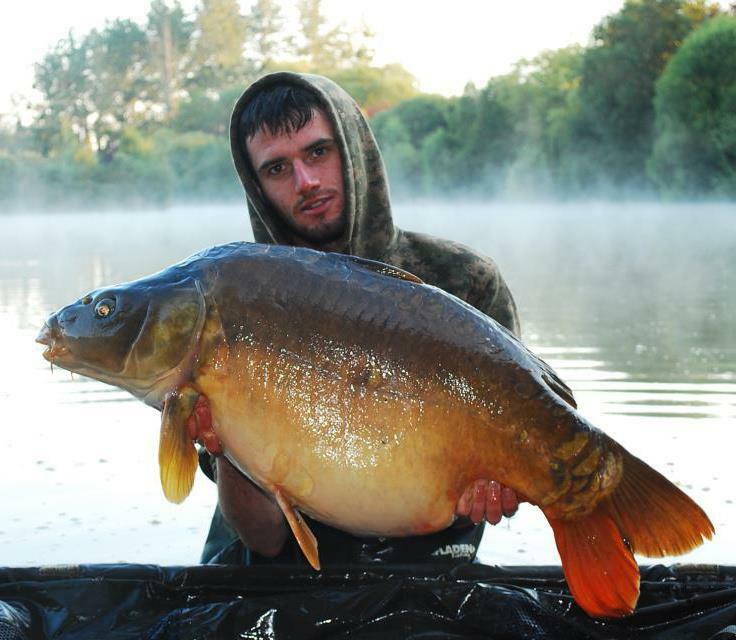 One of Joe’s massive fish on his recent trip to France. 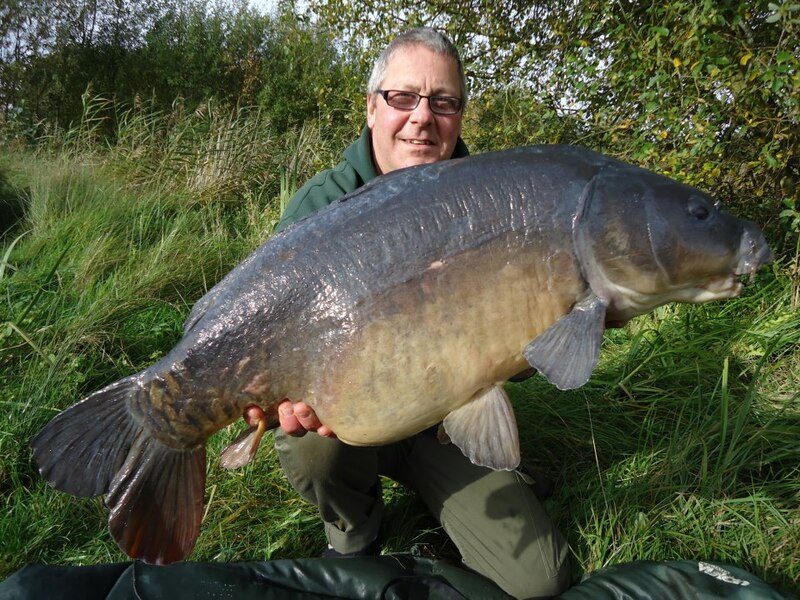 Here he is holding a chunky 43lb 8oz Mirror which fell to Nashy’s Scopex Squid Red after taking advantage of the current Nash Bait Deal. 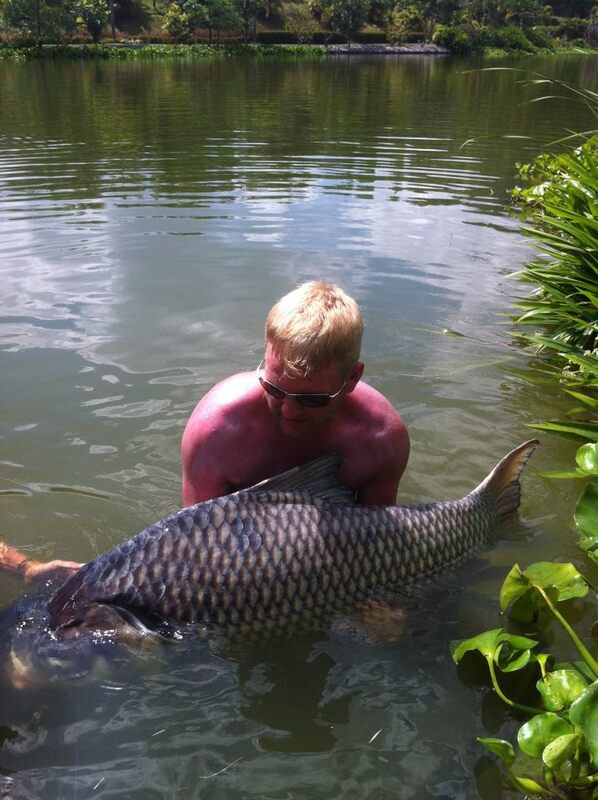 ….a 39lb 10oz Common Carp from a Bucks water. 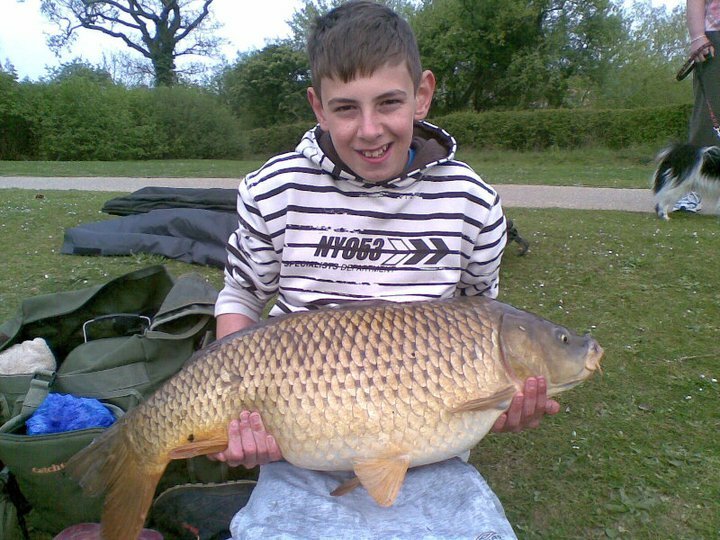 Sam caught the fish on the 7th of April, along with 3 other carp during the weekend up to 24lb! 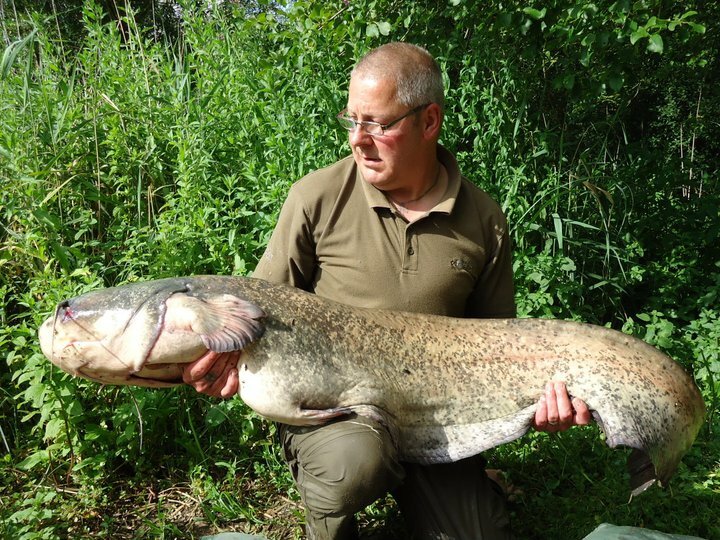 Fantastic news and an absolutely amazing fish! 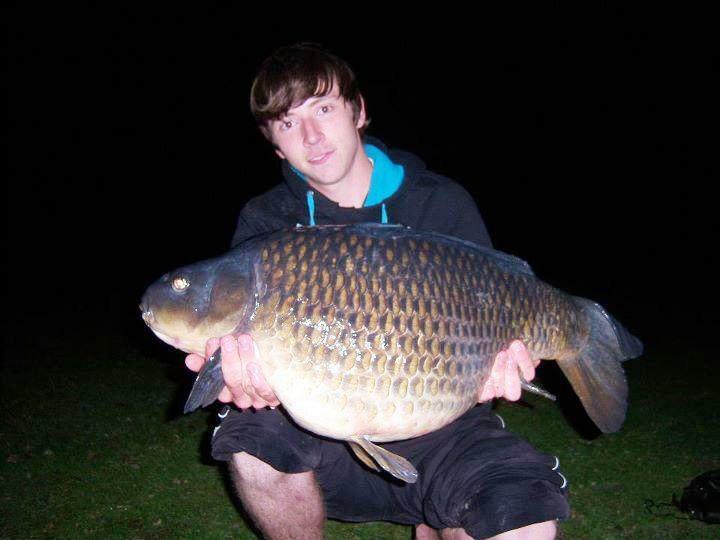 Danny Fisher landed this 26lb 5oz at Furzton last year. 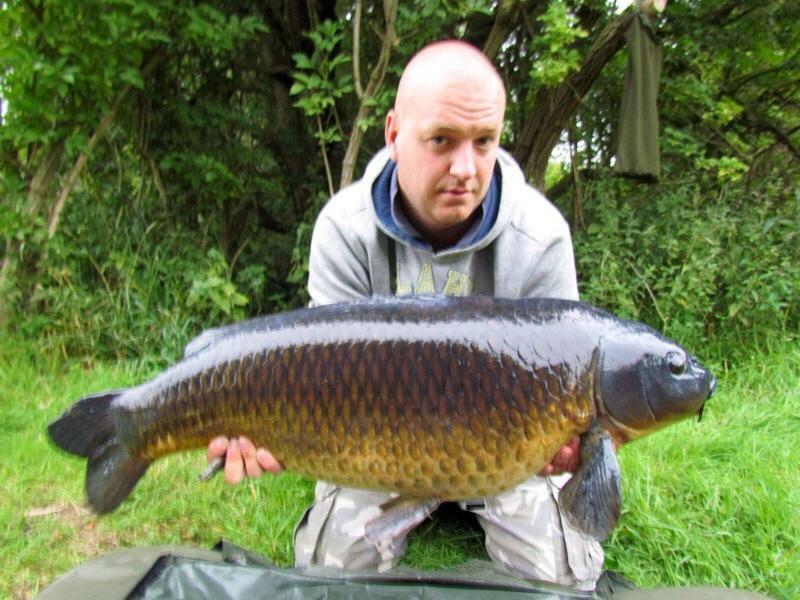 Let’s hope their are many more like this to come in the future! 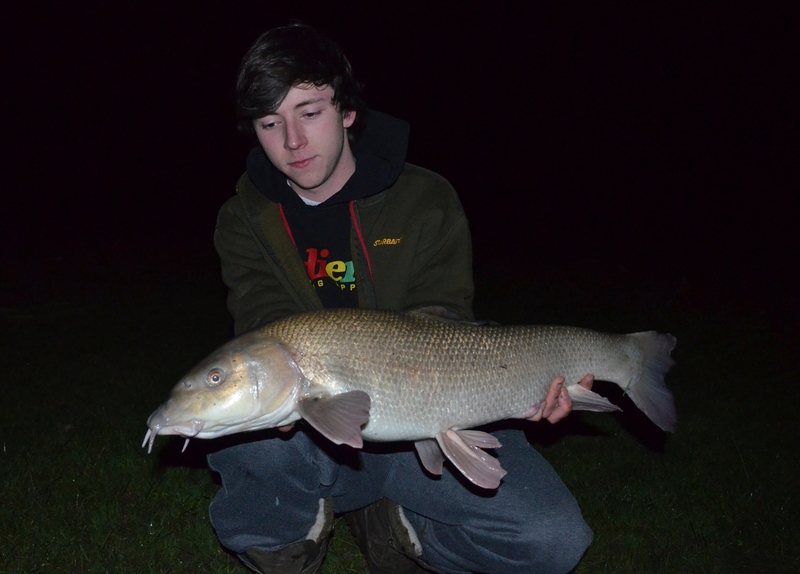 Nathan Skelton took a trip over to Drayton Reservoir for a day session on Monday to try and get a bend in his rods. 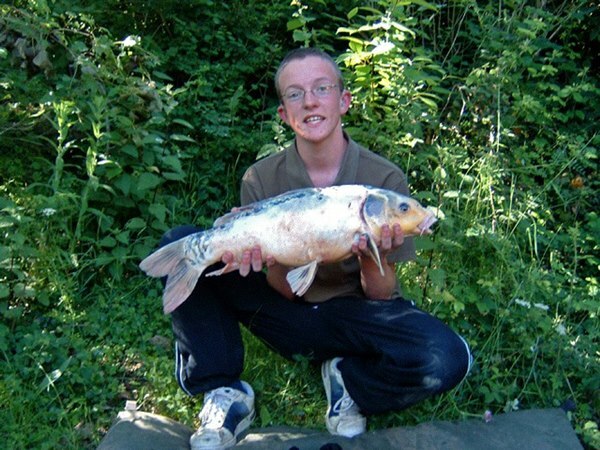 After a few hours, Nathan hadn’t landed any fish, however his luck changed landing a lovely mirror. 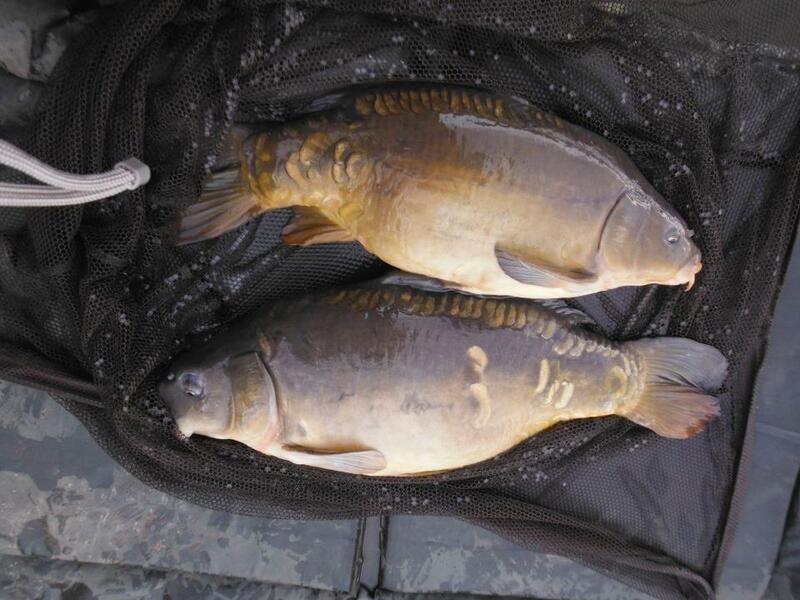 Whilst this fish was still in the net, the PVA bag was cast back into position, where it then screamed off moments later resulting in two mirrors on the bank at once! 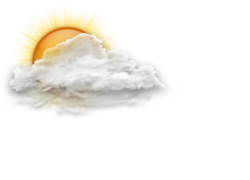 Not bad considering the conditions, freezing cold with snow still on the ground. 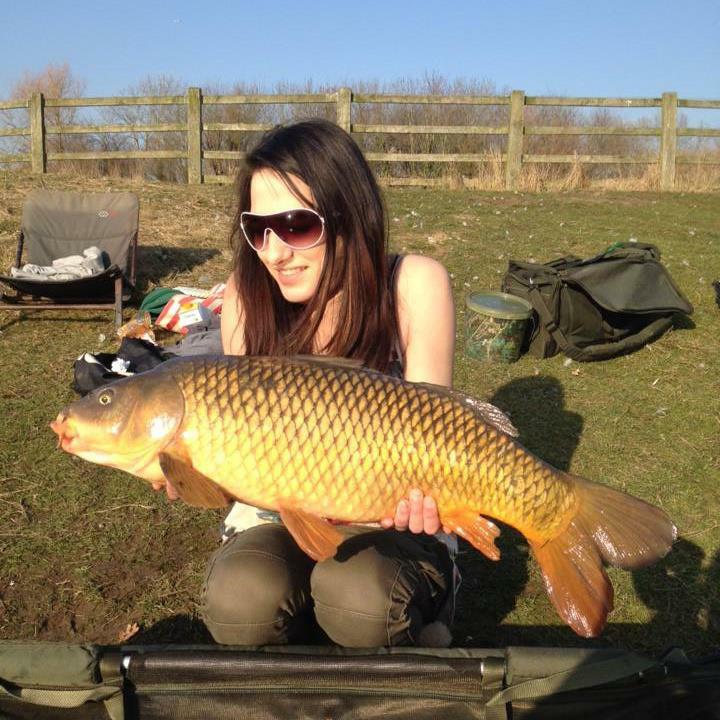 Sam Stevens; posing with her partners catch after she told him what bait to use, and where to cast it. 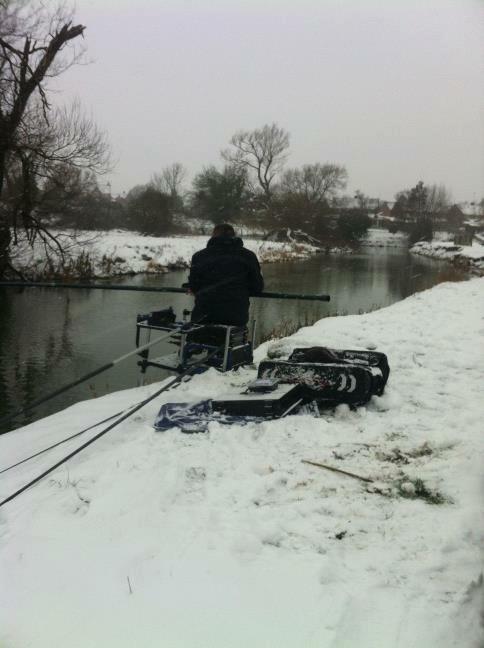 One of our loyal customers Pete Patton fishing in the snow! 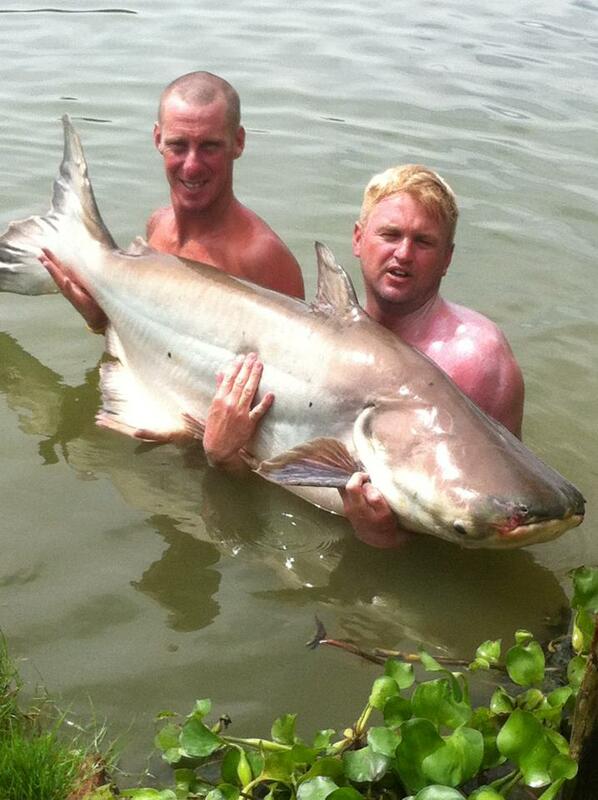 Real fishing weather! 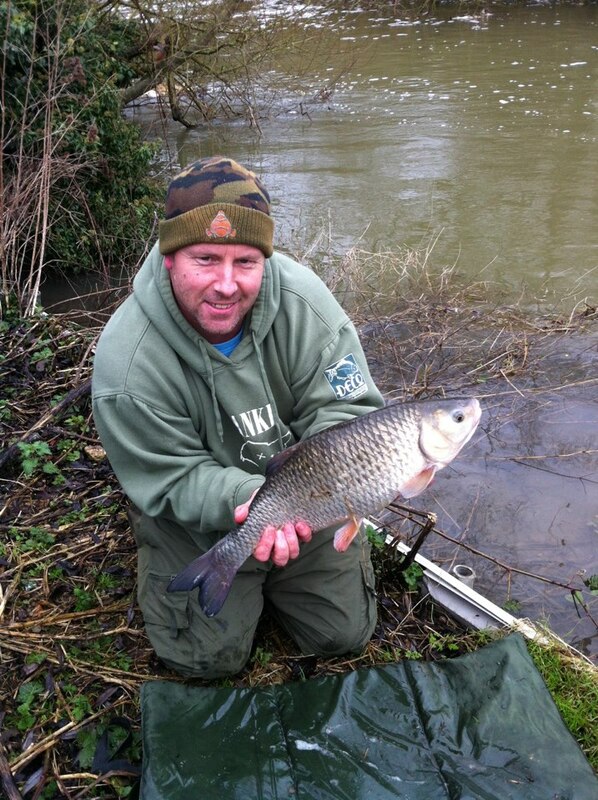 Graham Pitcher finished 2012 with this lovely 6lb 6oz Chub. 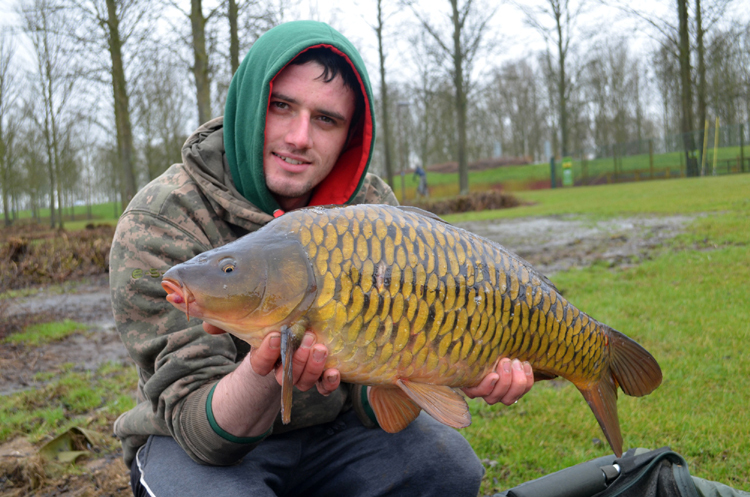 Karl Ruditis with a lovely Furzton roach. 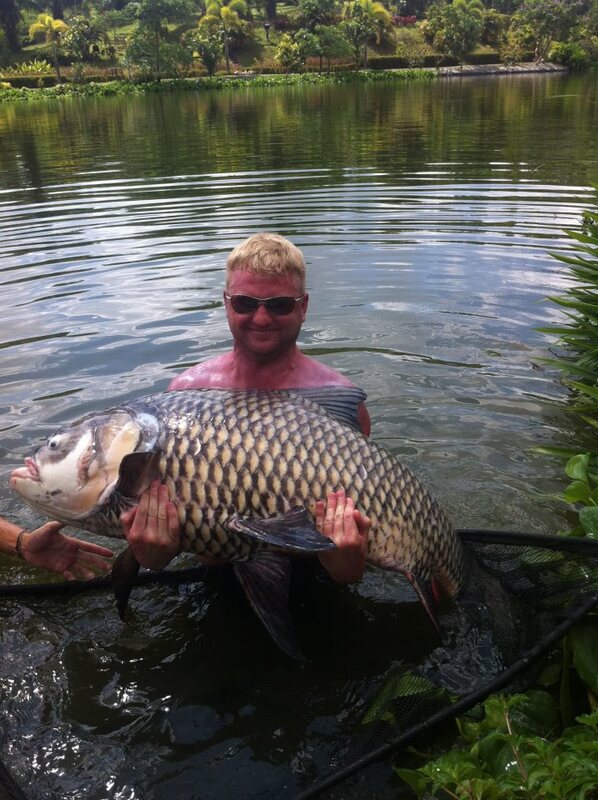 Richard Mariott with a 79lb 8oz Dream Lakes Common! 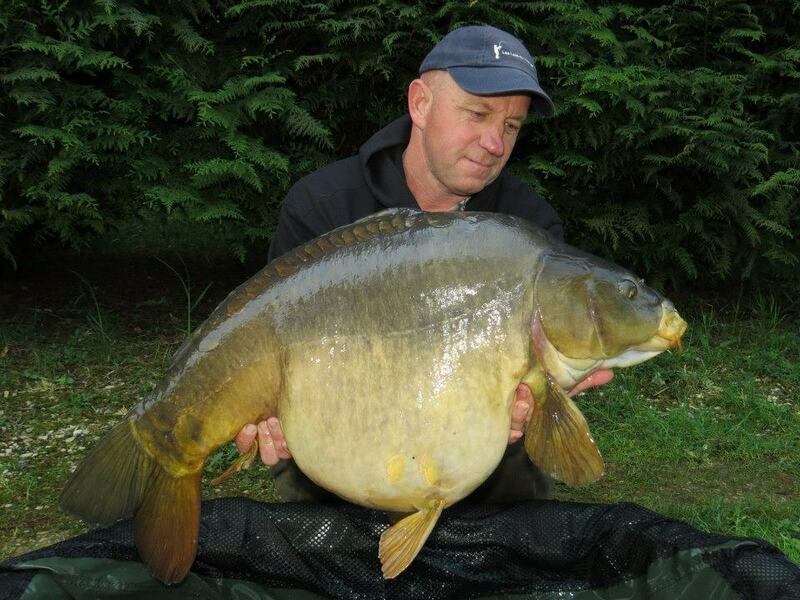 Harlo Again with a lump! 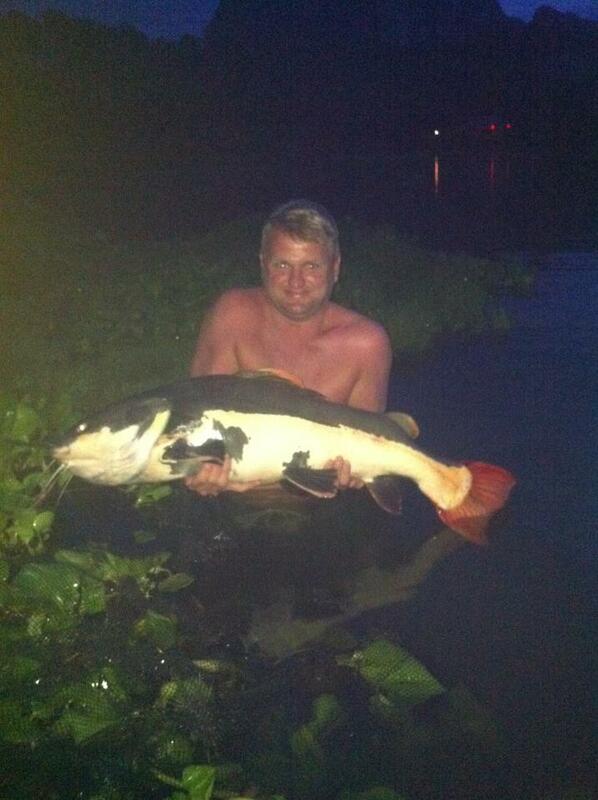 Simon Cooper with a lump of a catfish! 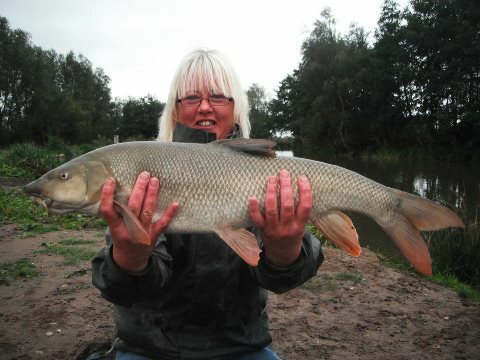 Sharon Bradley with a 14lb 8oz Barbel from Heronbrook Fisheries North Staffs – Nice one Sharon! 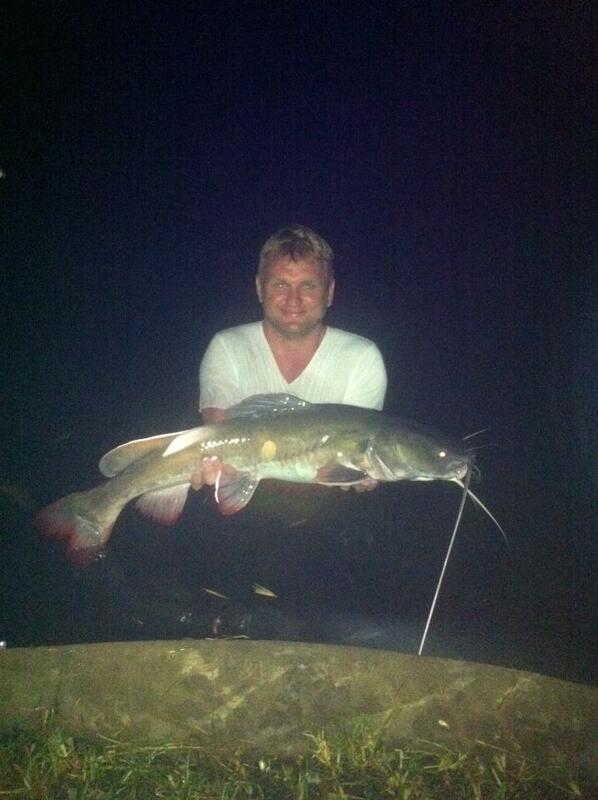 Colin with a very special Ghostie! 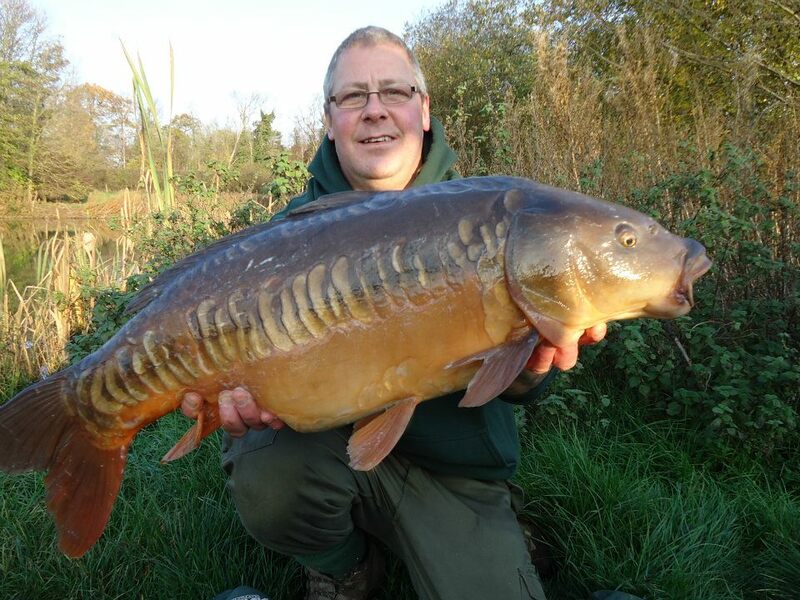 Colin has done it again with this mirror carp of the surface! 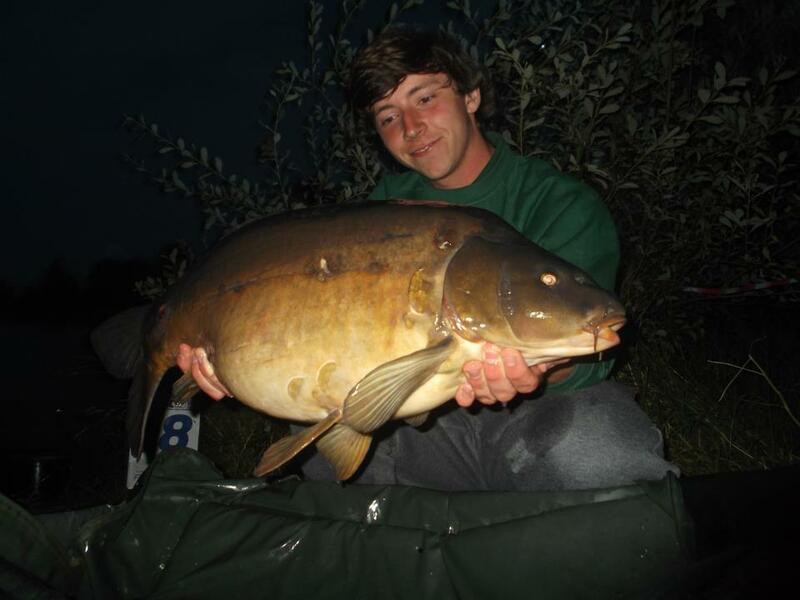 Sam Willis with a stunning 39lb mirror!